R.A.Barley Electrical Services specialise in electrical installation and electrical inspection and testing in homes in Worcestershire. Our contractors are qualified to complete electrical installation and inspection in any domestic properties and are City and Guilds qualified. R.A.Barley Electrical Services are a small family run business, and pride ourselves on the high standard of service we offer. We have grown by word of mouth from our loyal customer base in Kempsey recommending our services to their friends and family. We concentrate on serving customers from our home in Kempsey and are happy to quote for work in any of the small villages surrounding the city. Electrical safety has become very important as Insurance companies now expect the electrical installation to be maintained to a very high standard. An electrical installation condition report will tell you the condition of the electrical wiring and enclosures in your property. We carry out a range of electrical tests with our test instruments to find faults and access the condition of the wiring. You will receive a report outlining the condition of the electrical installation and will be advised about the action that may be required. We specialise in producing domestic electrical condition reports for home owners, home buyers and landlords. We pride ourselves on the high standard of electrical installation we offer all our customers. We offer a workmanship guarantee as well as the manufacturers guarantee. If for any reason you are unhappy you can contact us with the knowledge that all your concerns will be met. 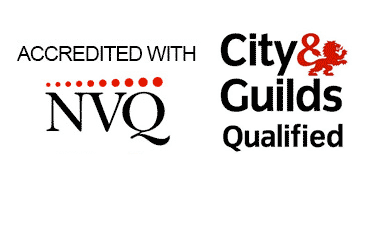 Richard Barley served an apprenticeship with Midlands Electricity Plc (M.E.B Contracting) during which he passed the City & Guilds part 1 / part 2 and NVQ level 3 qualifications required to become a qualified electrician. With over twenty eight years of experience in the electrical industry, I am able to offer you independent advice. Electrical maintenance and minor repairs can be carried out according to Part P of the building regulations. 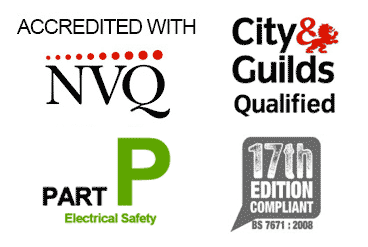 If your installation requires Part P certification, then a suitable NICEIC or NAPIT certified electrician will be used to carry out and certify the completed work, or the work will be submitted directly to building control in Worcestershire. Please click on the link below and read Part P to understand how Part P changed on 6th April 2013.